Min Hyoung Song is Professor of English and Director of the Asian American Studies Program at Boston College. He is the author of two books, The Children of 1965: On Writing, and Not Writing, as an Asian American (Duke, 2013) and Strange Future: Pessimism and the 1992 Los Angeles Riots (Duke, 2005). The Children of 1965 won the Association for Asian American Studies (AAAS) Prize in Literary Criticism, the Alpha Sigma Nu Award in Literature and Fine Arts, and was named Honorable Mention for the Association for the Study of the Arts in the Present (ASAP) Book Prize. 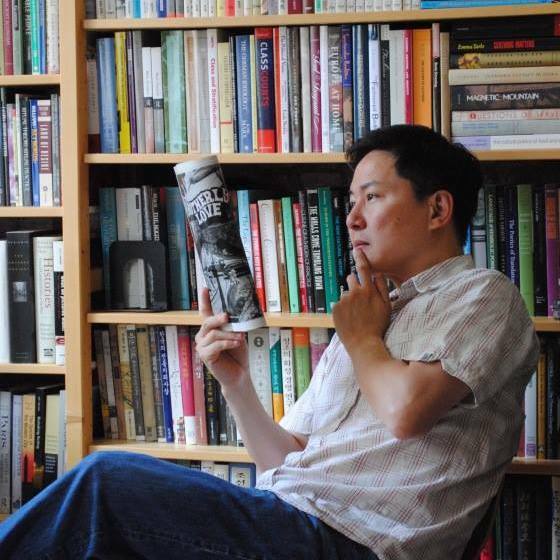 In addition, he co-edited The Cambridge History of Asian American Literature (Cambridge, 2015) and Asian American Studies: A Reader (Rutgers, 2000), and has published academic articles in the journals Mosaic, Twentieth-Century Literature, American Literary History, LIT, and Legacy, as well as in numerous edited volumes of essays. He is the former editor of the Journal of Asian American Studies (JAAAS) and former director of the English MA program at BC. He is at work on two book projects. The first draws from the tradition of the lyric to develop a portable reading practice that self-consciously foregrounds climate change. The second focuses on childhood and race in an time of climate breakdown. He is also co-editing a four-volume series for Cambridge University Press entitled Asian American Literature in Transition, which should be published in late 2020 or early 2021. His most recent publication is a chapter entitled “The Artful Things of Climate Change” in the edited volume Racial Ecologies, edited by LeiLani Nishime and Kim Hester Williams.